Adelaide Oval has long provided the perfect location to host private functions and events. 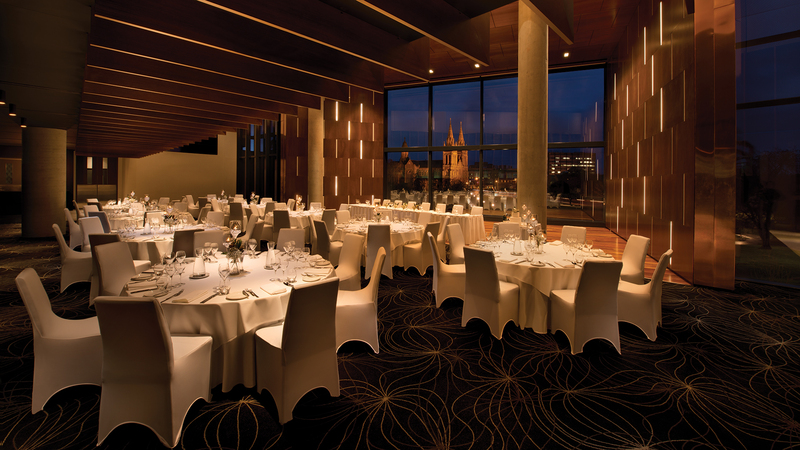 As one of South Australia’s most impressive venues – boasting picturesque views of the hallowed turf, the city, St Peter’s Cathedral and more – it provides a unique setting to entertain clients, celebrate milestones or network in style. Our state-of-the-art facilities include 25 unique spaces, catering for groups ranging in size from three to 3,000 people. Start your event with our tempting range of breakfast dishes, with everything from a full cooked breakfast to refreshing healthy options. Made fresh every day by our team of award-winning chefs, treat to your guests to a wide variety of nutritious and satisfying lunch and dinner choices. Delight your guests with our selection of hot and cold canapés. Your guests will be spoilt for choice with our diverse buffet offering. Break up your meetings with our half and full day catering options. Select one of our beverage packages to accompany your choice of food, available to order for anyway from one to five hours. Adelaide Oval Audio Visual are the experts when it comes to exceptional function events, providing all our clients with outstanding customer service and state of the art equipment that you can rely on every time. The hallowed turf of Adelaide Oval is the main attraction for many events and the historic century-old scoreboard can be used to add a unique touch to your event with personalised messaging. Add a personal touch to your function with Adelaide Oval’s five superscreens located inside and outside the stadium. If you’re looking to add the wow factor to your next event, Adelaide Oval’s lighting and LED ribbon boards are guaranteed to impress.